Back in 1993, Polartec partnered with Patagonia to create the world’s first recycled polyester fleece layer, the Synchilla. To create the fleece, Polartec sourced a polyester yarn manufactured from a combination of post-consumer recycled content (plastic soda bottles) and post-industrial waste (yarn scraps). 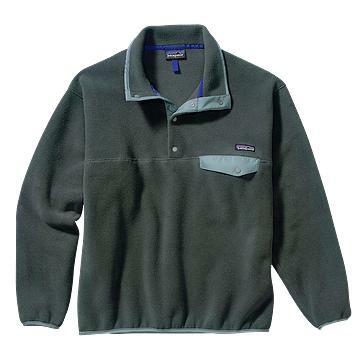 Today, Patagonia’s line of Synchilla pullovers, jackets and vests are still some of the company’s most popular garments. Over the years Polartec and Patagonia have also grown their partnership to create recycled fabrics for dozens of other garments, from baselayers to jackets. In 2005, Patagonia launched the global Common Threads program in an effort to “close the loop” on its recycling efforts. Through this program customers can return their worn out Capilene® Performance Baselayers to Patagonia for recycling. Polartec and Patagonia then further collaborated to expand the list of recyclable garments to include Polartec® fleece clothing from ANY manufacturer. Check out this interesting article in Business Week about the Patagonia Common Threads garment recycling program.